Design patterns: proxy » Hello World! New 2014 year did not start easy for me in terms of describing new design pattern I have learnt by reading the book. The cause of it is next chapter I have read more than a month ago. 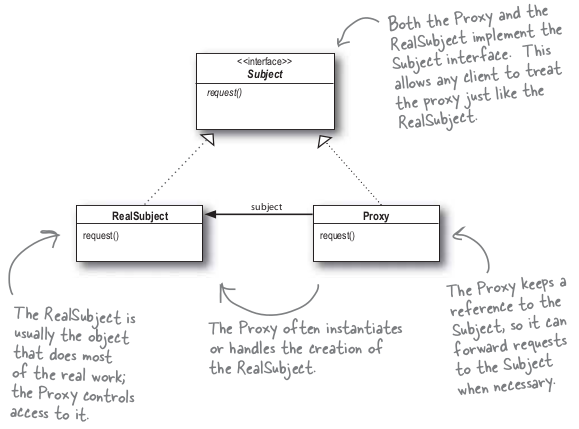 It describes new proxy pattern but it describes it mostly in Java environment. However, it does not mean we use the pattern only in Java applications. Current state:          Machnine is waiting for quarter. The Proxy Pattern provides surrogate or placeholder for another object to control access to it. copy-on-write proxy — controls the copying of an object by deferring the copying of an object until it is required by a client; this is variant of virtual proxy.